Franks Hill Fall Equinox Event – September 23rd! | Three Eagles Foundation, Inc. Franks Hill Fall Equinox Event – September 23rd! | Three Eagles Foundation, Inc.
Frank’s Hill, an effigy mound site in southern Richland County, will be open to the public on Friday, September 21st through Sunday, September 23rd for observance of the autumnal equinox. Everyone is invited to gather at Frank’s Hill near Muscoda from Friday through Sunday to view the sunrise or sunset or to visit the site during the day to see the mounds and the grand vista. A campfire and sharing of stories hosted by the Three Eagles Foundation will occur following the sunset on Sunday night. The event is subject to suitable weather conditions. A short hike will be required to the top of the hill that offers a stunning view of the lower Wisconsin River valley. Participants should arrive by 6:00 a.m. to view the sunrise or 6:30 p.m. to view the sunset. 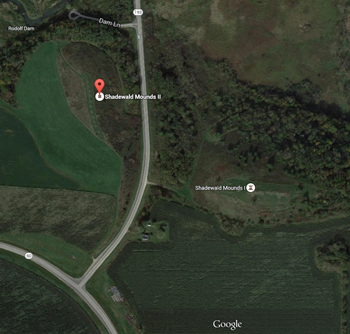 The site is located 2 miles west of Muscoda at the intersection of Hwy. 60 and Hwy. 193. Frank’s Hill is on the National Register of Historic Places. A group of unique effigy mounds is situated on the east ridge where the observances will occur. Across Hwy. 193 lies the west ridge where a line of small conical mounds, thought to be calendar mounds, is situated. The site offers a panoramic vista of the area which once contained the highest concentration of bird effigy mounds found anywhere in the world. The mounds are thought to have been built during the Late Woodland period dating back to one thousand or more years ago. To learn more about the equinox event or for directions, contact Dave Martin at (608) 739-4198 or visit the Three Eagles Foundation website or Facebook page.